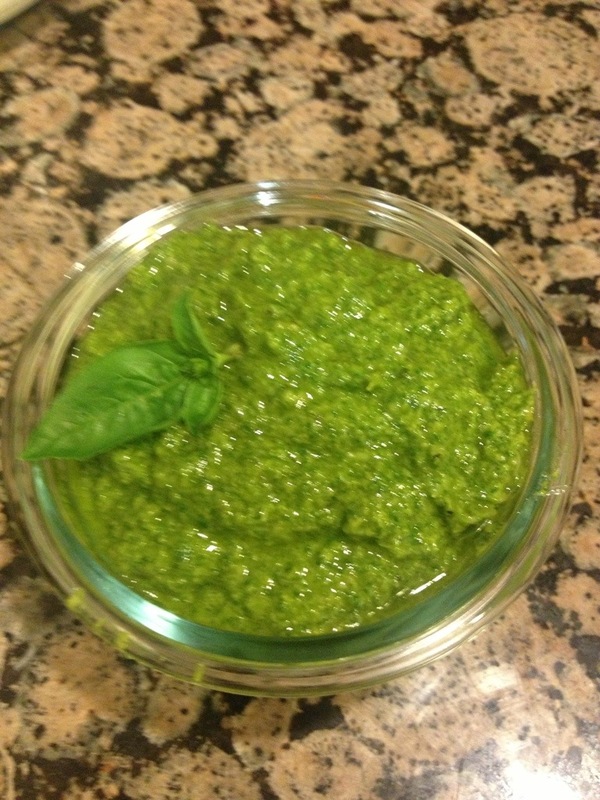 I made the first pesto of the spring/summer basil Monday night. I planned to share this with you last night but it was a long Monday at work so today will do. 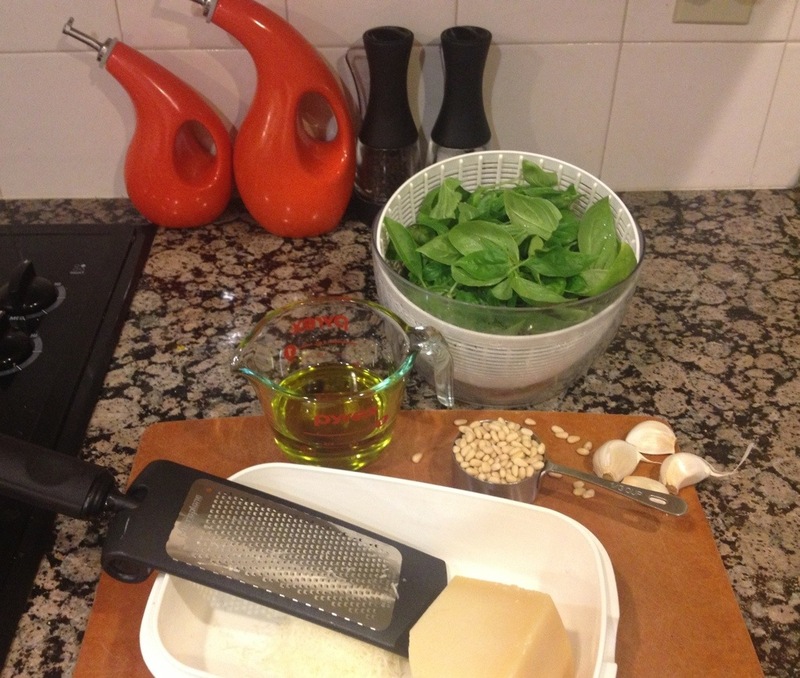 In this case, it was about three cups of basil, around 1/2 cup of grated Parmesan, about 1/3 cup of pine nuts, 4 cloves of garlic, almost 1/2 cup of olive oil, salt and pepper. I chucked the garlic and pine nuts into the food processor, added the basil and kept going until everything was blended. Then the oil went in while the machine was next the cheese. S&P to taste. Lots of abouts because I didn’t use all the oil, I put in a little extra cheese, and maybe a little extra basil. I drizzled some of the leftover oil on top to preserve the vibrant green. Do it some night. It takes no time and you can make the proportions all your own. More garlic. Less oil. More cheese. Different nuts. No nuts. 10 minutes including prep and cleaning and spinning the basil dry. The hardest part is cleaning the food processor (I was lazy and chucked it in the dishwasher because there was space). Bruce said it was delicious too–he had it for dinner last night over farfalle pasta (you know, the bowties) with a bit of chicken. I sampled it when I got home from work after the leftovers were cold and it was still delicious. Score! 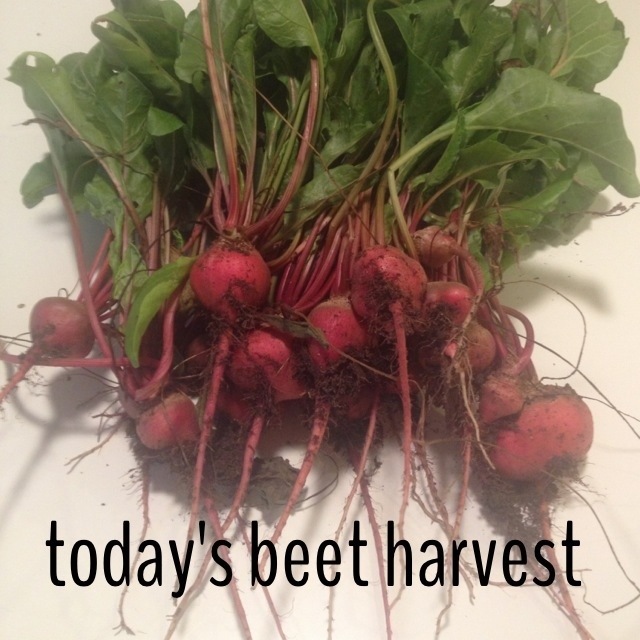 They’re almost done, but it’s almost time to plant the fall beets. And one last thing, a shout out to the Grammar Belle who celebrates a year of trying to save the English-speaking world from grammatical errors today. Well done! Follow her if you aren’t and I guarantee you will be amused and re-educated. 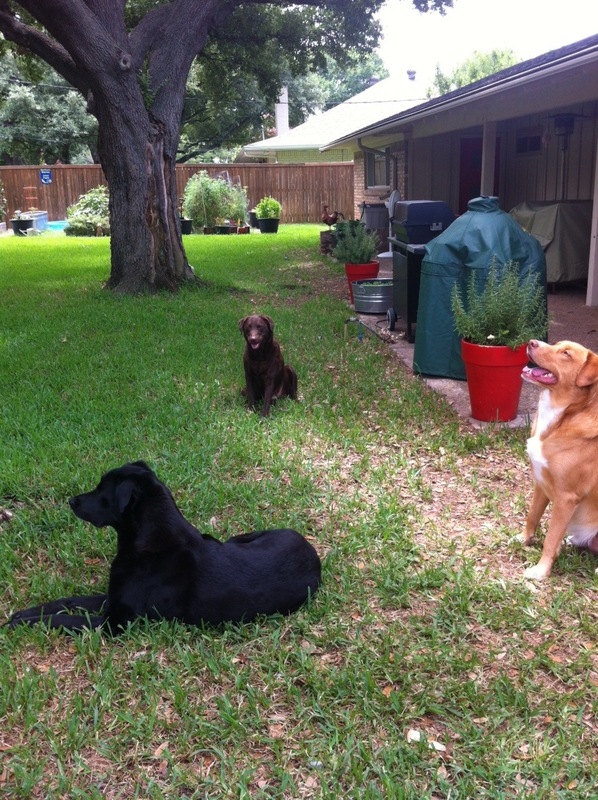 This entry was posted in Sow and tagged basil, Julie Petroski, Mortroski Midcentury Urban Farm, pasta, pesto. Bookmark the permalink. Wonderful! The Stuff of live! Thank you! Looking forward to repeats tomorrow. One of my favorite recipes of summertime. Thanks for reminding me it’s time to make this!! I use Genovese basil. What type do you use? Yes, that is genovese basil. 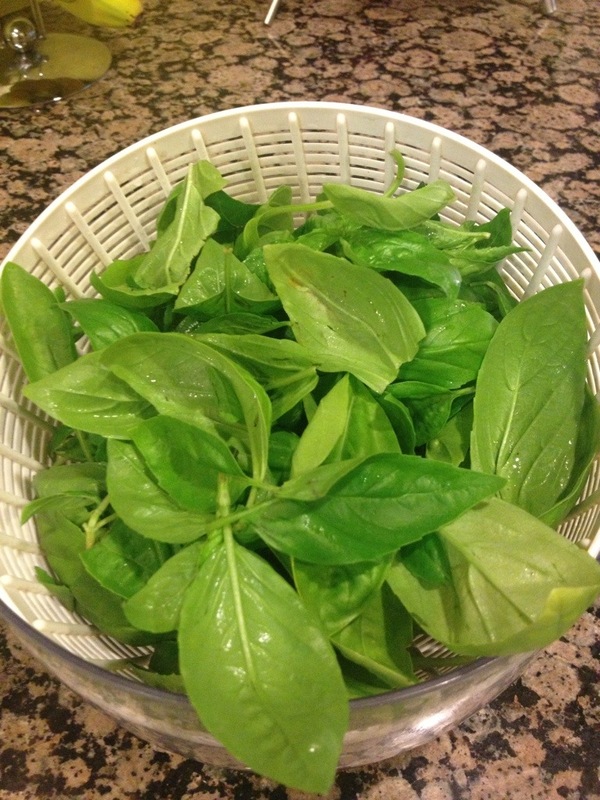 I have used Thai basil and a combo of Italian and Thai basil and had delicious and beautiful results too. I’m going to make more soon and freeze it. It’s great to make a bunch all at once (just one clean up then) and put it up in ziploc bags. Perfect for those busy nights or nights when the fridge is looking a bit bare. I’ve never been a pesto fan until I started growing basil. I love basil! When I grow cilantro in the fall, I’ll try your cilantro pesto–sounds delish! And I’m not allergic to any of the ingredients, even if I have to look them up in the garden bible. Allergies are a challenge for me too. When it was fashionable to sneak cauliflower into everything as a potato substitute (the low carb, anti-white food thing), I had to be really careful at banquets where they had “mashed potatoes”. It makes my lips swell like a botched collagen injection! Banquets and “mashed potatoes” whatever would Sir Walter say Julie? ?